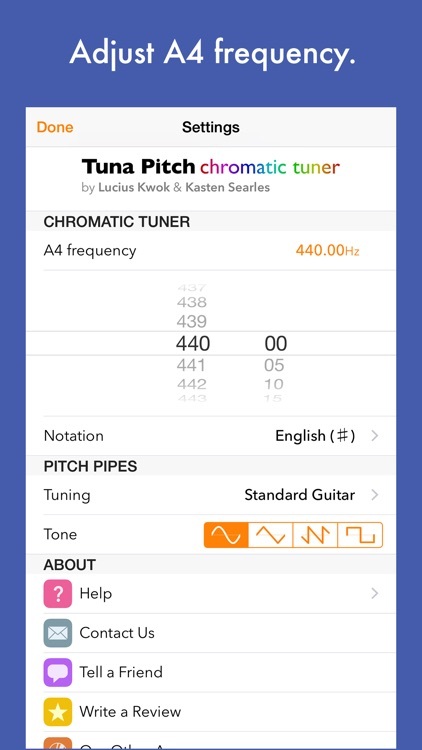 Tuna Pitch - chromatic tuner by Felt Tip Inc.
Stay in tune with this chromatic tuner and pitch pipe for your musical instrument. 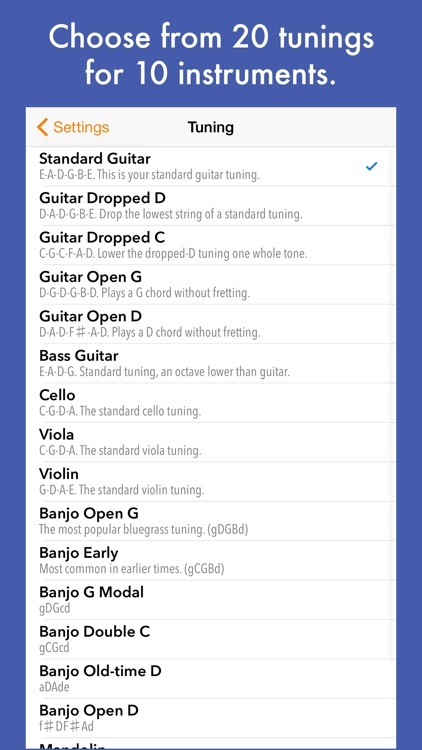 It tunes guitars, bass guitars, and banjos, but also many other instruments, even your voice (just sing into it!). 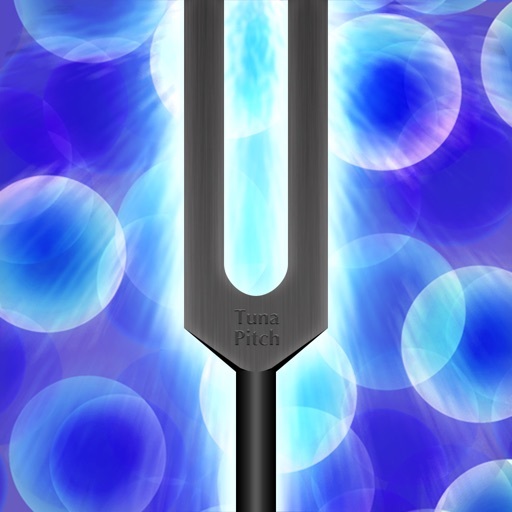 The built-in pitch pipe lets you play a reference tone for tuning by ear. 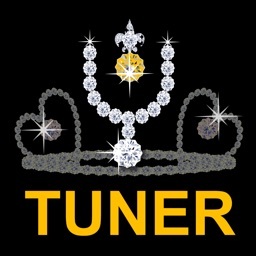 The tuner requires microphone access, which can be granted in the Settings app, in Privacy > Microphone. 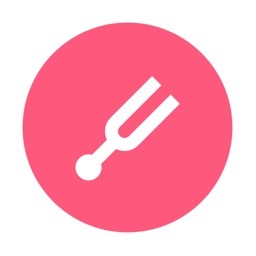 For best results, use a headset or microphone separate from the device. • Automatically finds the pitch using the microphone. 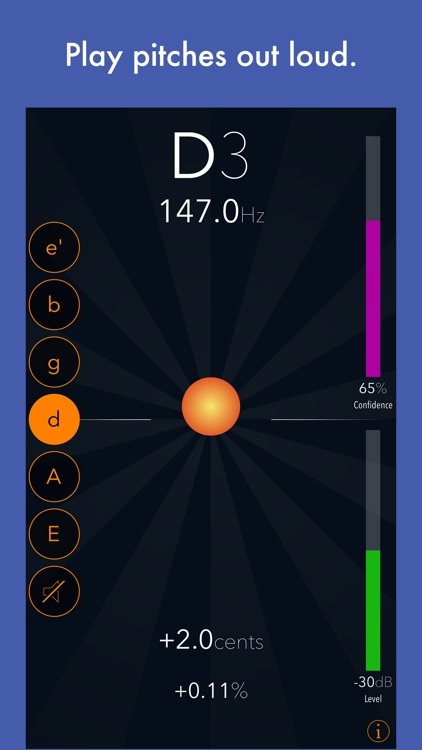 • Shows note name, octave, frequency. 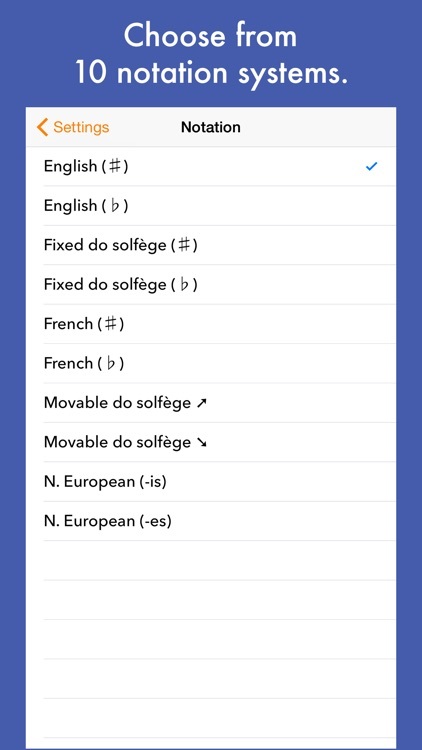 • Shows sharpness or flatness in cents and percentage. 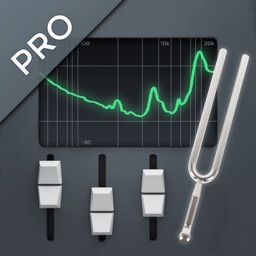 • Plays reference tones out loud with 4 selectable timbres. 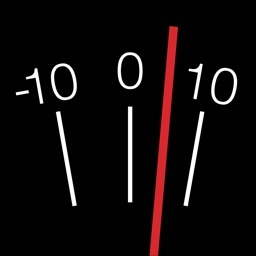 • Has 20 built-in tuning systems for 10 instruments. 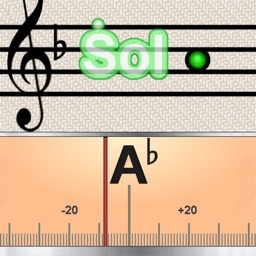 • Can use 10 notation systems (5 types with 2 variations each). 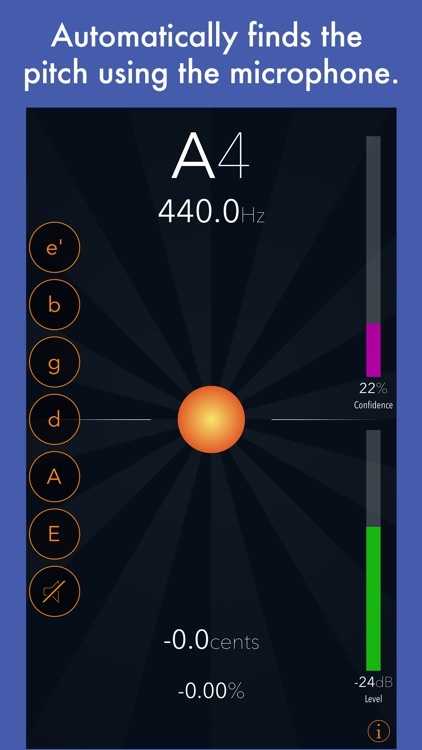 • Editable A4 reference frequency, with A440 standard tuning (A4 = 440Hz). • Supports upside-down device orientation.